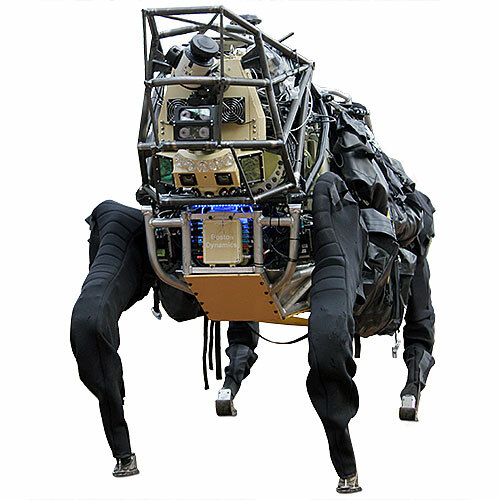 AlphaDog is a quadruped robot the size of a mule (a big, mean mule). 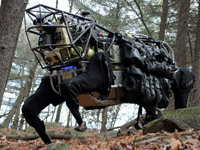 It's powered by a hydraulic actuation system and is designed to assist soldiers in carrying heavy gear over rough terrain. 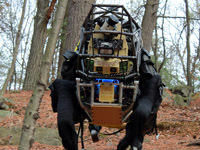 The robot can follow a leader or navigate by GPS. 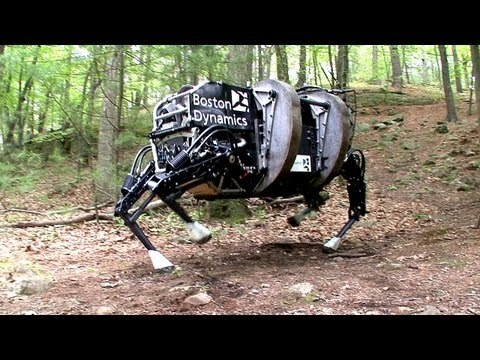 AlphaDog goes for a walk. AlphaDog's one-, two-, and four-legged predecessors. AlphaDog wakes up from a nap and goes hiking. 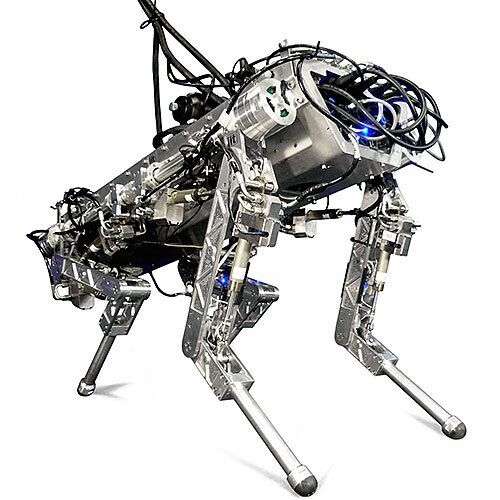 AlphaDog was initially named "BullDog," but after realizing that the term evoked the image of cute dogs with droopy cheeks and pushed-in faces, Boston Dynamics decided against it. AlphaDog is so huge that it needs to be hoisted by a custom crane to be transported. 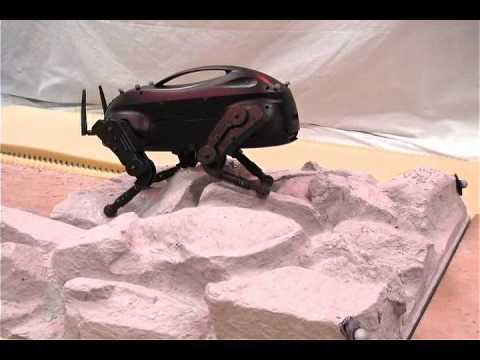 Up to 181 kg (400 lb) of payload, dynamic locomotion over steep and slippery terrain. 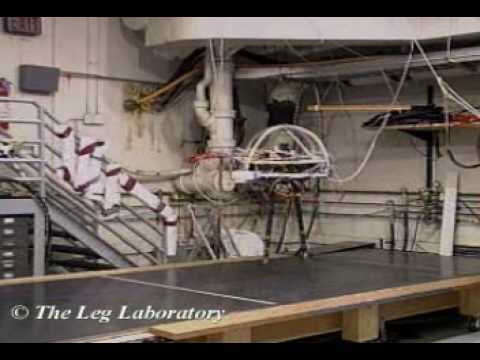 Legs with joint position and force sensors. 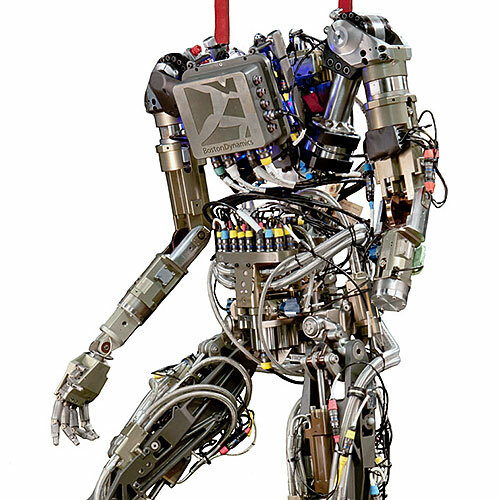 Body with gyroscope and stereo vision system. Hydraulic system with pressure and temperature sensors. 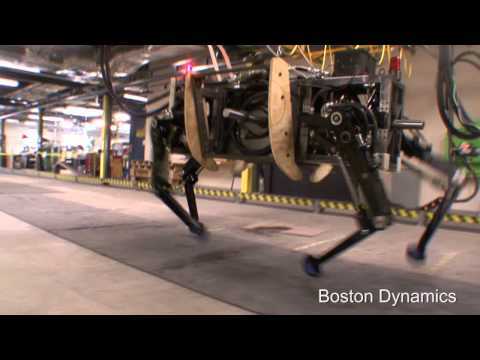 Boston Dynamics, led by Marc Raibert, was funded by DARPA and the U.S. Marine Corps. 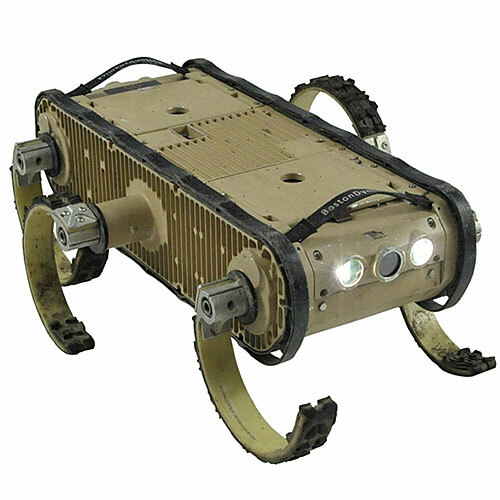 to develop a highly mobile, semi-autonomous legged robot, the Legged Squad Support System (LS3), to help alleviate physical weight on troops. 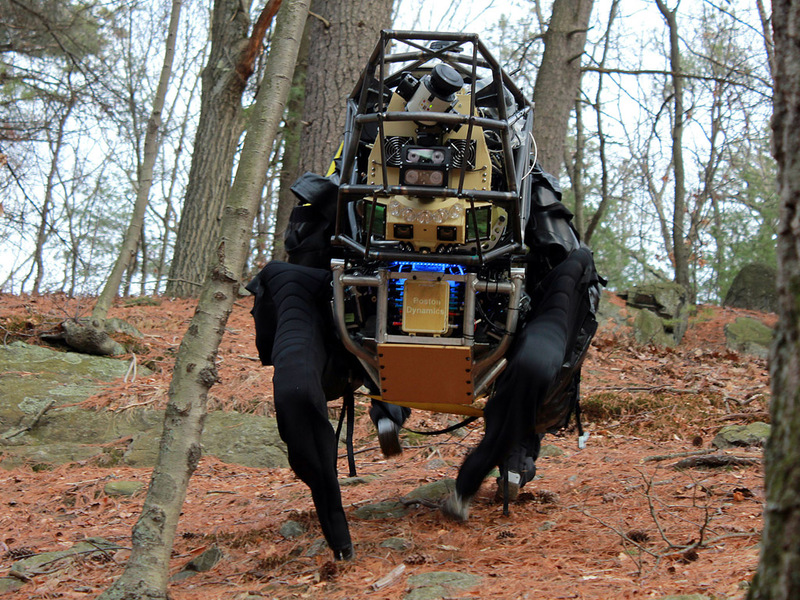 In early 2012, the LS3 prototype underwent its first outdoor exercise, demonstrating the ability to follow a person using its vision system. 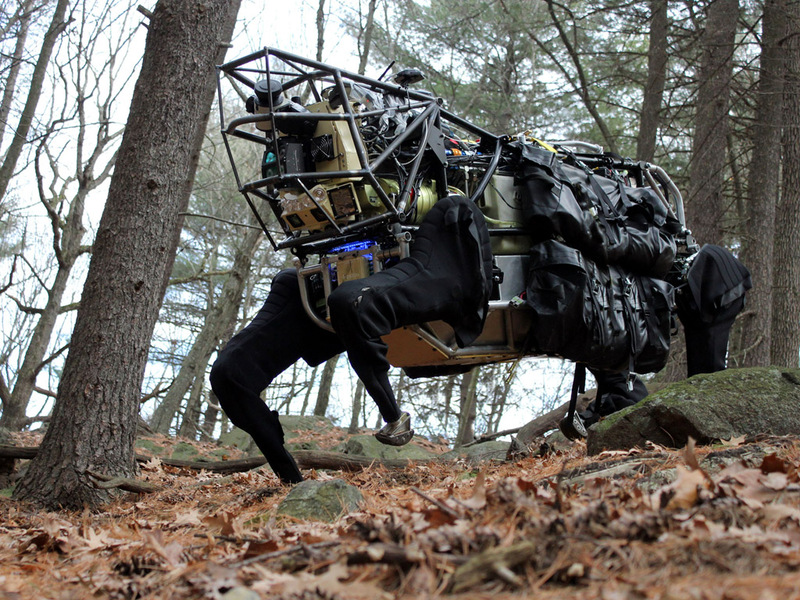 Next DARPA plans to complete development of key mobile and sensing capabilities to ensure LS3 is able to support dismounted squads of soldiers in the battlefield. 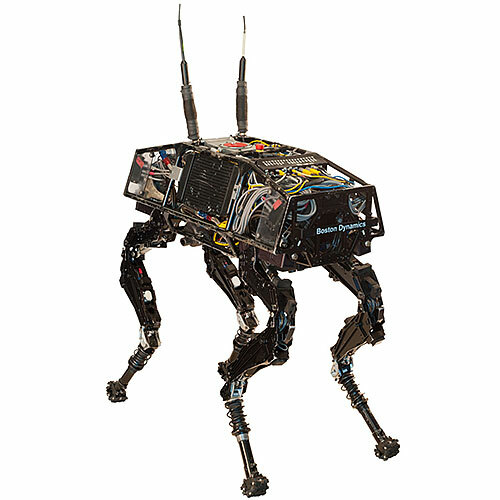 The team working on LS3 (also known as AlphaDog) includes engineers and scientists from Boston Dynamics, Bell Helicopter, AAI Corporation, Carnegie Mellon, NASA's Jet Propulsion Laboratory, and Woodward HRT.